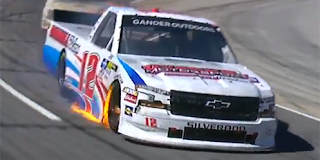 Gus Dean picked up the 1st last-place finish of his NASCAR Gander Outdoors Truck Series career in Saturday’s TruNorth Global 250 at the Martinsville Speedway when his #12 Overkill RV Chevrolet fell out with a busted oil line after 61 of 250 laps. The finish came in Dean’s fourth series start. In the Truck Series last-place rankings, it was the 2nd from a busted oil line, the 4th for the #12, and the 368th for Chevrolet. Across NASCAR’s top three series, it was the 41st for the #12, the 16th from an oil line, and the 1,647th for Chevrolet. 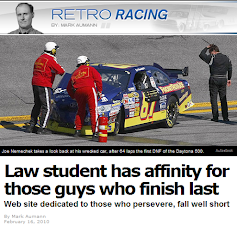 The 24-year-old Dean from Bluffton, South Carolina is another of the many young hopefuls making the transition from local short tracks into national NASCAR competition. A go-kart racer since he was six, Dean cut his teeth in the scaled-down stock cars of the Allison Legacy Series, and in it earned Most Improved honors despite six races missed for a broken knee. This led to an opportunity in 2010 to run at historic North Wilkesboro Speedway, taking the first checkered flag since Jeff Gordon won the final Cup race there in 1996. 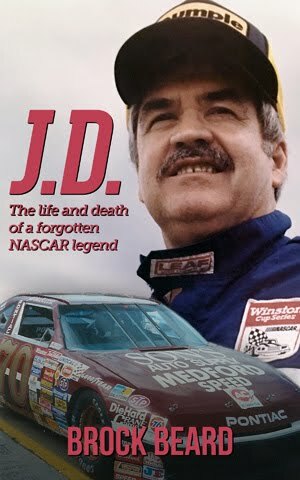 The path to NASCAR came quickly. Late models came next, then the X-1R Pro Cup Series, where in 2014 he defeated a dominant Caleb Holman to win at Memphis. In 2016, Dean made the jump to the ARCA Menards Series, where driving for Mason Mitchell he won in just his second career start and first at Talladega. Two full seasons in the series followed, yielding a 4th and 6th in points, including a second win at the tiny Elko Speedway. Now a winner on tracks big and small, a new opportunity came this past offseason. On January 9, it was announced that Dean would be joining Young’s Motorsports, fielded by longtime underdog Randy Young. 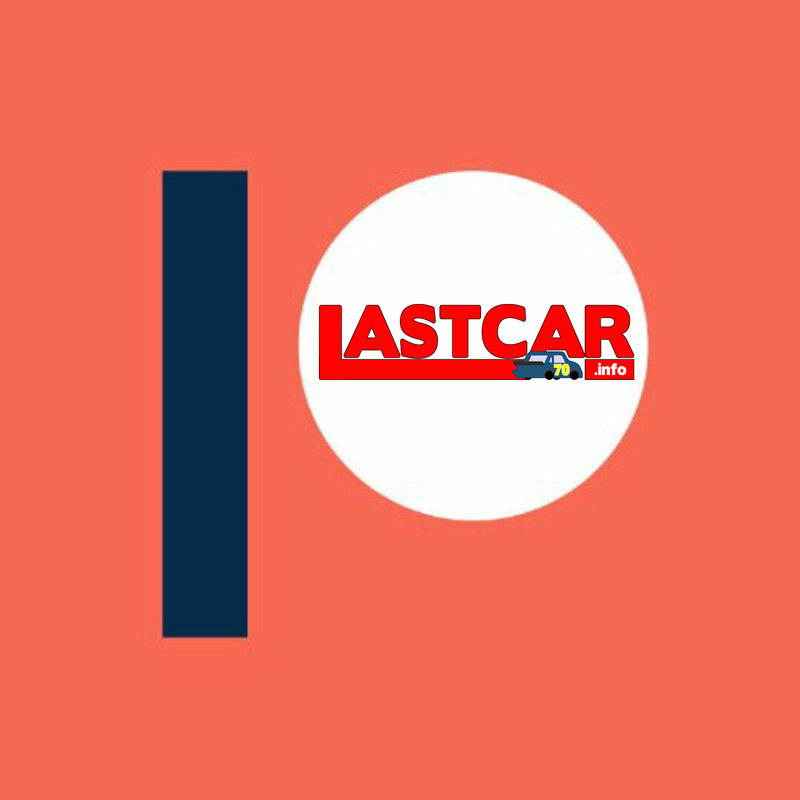 He would drive the #12, a part-time effort Young had been developing last year. With full-timer Austin Hill making the move to Shigeaki Hattori’s team in 2019, Dean would be joined by two new teammates: Spencer Boyd, released by SS-Green Light Racing’s XFINITY program last year, and 19-year-old Tyler Dippel, who had finished no worse than 17th in his first five Truck starts just last year. With new sponsorships and personalities on hand – LG Air Conditioning Technologies and Overkill Motorsports joining the Dean effort - Young’s Motorsports looked to take their team to the next level. Unlike Boyd, who finished a team-best 4th in Daytona, Dean could not escape the night’s many crashes, but managed to earn a 15th-place finish. He backed this up with another 15th-place showing in Atlanta, then ran 22nd in the most recent round at Las Vegas. He arrived in Martinsville tied with Boyd for 13th in the standings. Dean’s first short track weekend of 2019 began strong. Despite running the second-fewest laps in Friday’s rookie practice session, Dean timed in fastest overall, besting the fleet Kyle Busch Motorsports entry of Raphael Lessard by just over two-hundredths of a second. In the official practices, Dean ran 21st overall, then jumped to 12th in Happy Hour. He then ran 13th in Round 1 of qualifying, then ranked 17th in Round 2, securing the spot with a lap of 95.458mph (19.837 seconds). Starting 32nd and last in Saturday’s race was 2003 series champion Travis Kvapil, who after back-to-back withdrawals at Daytona and Atlanta was back in action driving Beaver Motorsports’ #1 CorvetteParts.net Chevrolet. The Past Champions’ Provisional that secured Kvapil his spot proved critical - 41 drivers and teams had been entered, and even after the withdrawals of three teams and a late driver swap between Josh Reaume and his new rookie teammate Daniel Sasnett, six other teams would be sent home. Missing the cut were the #9 Grant County Mulch Chevrolet of Codie Rohrbaugh, making his first attempt since Daytona; the D.J. Copp entry of Dawson Cram in the #63 Chevrolet; Juan Manuel Gonzalez, a late driver swap into Jennifer Jo Cobb’s #10; and owner-drivers Ray Ciccarelli, Norm Benning, and Tony Mrakovich. Mrakovich’s #43 Street Stores Hardware Chevrolet was one of two new teams attempting their debut at Martinsville. Although the #43 was the slowest of all, Timmy and Tyler Hill’s new #56 Chevrolet made the cut, starting 23rd and finishing 21st. At the start, Kvapil made quick work of Daniel Sasnett’s #33 Surface Prep Supply / Motorsports Safety Group Chevrolet. Looking to shake down Reaume’s Chevrolet, Sasnett lost ground quickly, falling 11.674 seconds back after just seven laps, and nearly two seconds back of the 31st-place Korbin Forrister in the #7 Sparrow Ranch Toyota. 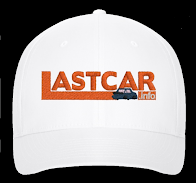 Sasnett lost a lap on the 17th circuit, then was advised by his spotter to hug the curb in the corners as faster traffic moved by in the high lane. Kvapil, who slid back from 30th to 31st, appeared in danger of falling out early as he reported brake fade on the #1 – the same team that trailed the last two spring Truck Series races at Martinsville. Next to fall into the danger zone was Spencer Boyd, Dean’s teammate in the #20 EZ Red Chevrolet. On Lap 42, Boyd reported the engine was “real flat,” and had no power coming off the corner. “It won’t go,” the driver said on Lap 61. Three laps down and in the 31st spot, Boyd pulled down pit road, speculating it was an electrical issue on his machine. As the team made preparations to return to the race and “run out” the distance, trouble broke out in Turn 2. On Lap 63, with just eight laps to go in Stage 1, Dean was being chased by the #92 BTS Tire & Wheel Distributors Ford of Austin Theriault when the #12 started smoking badly. Dean brought the truck under control without striking the outside wall, but soon stopped and dropped the window net. Out of his car and out of the race, the ensuing caution saw the #12 pulled behind the wall and was brought to the Cup garage. Dean took last from Sasnett on Lap 66, and the radio fell silent as the crew loaded up. 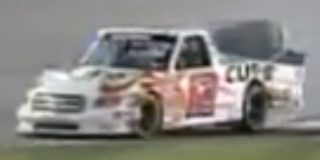 Sasnett ultimately finished 30th, the last truck running under power, 12 laps back of the lead. Lifting him from 31st was Cory Roper, the day’s only other retiree, who broke the rear end on his #04 Preferred Industrial Contractors Ford inside the final 30 laps. Finishing 29th was Brennan Poole, who had early engine issues of his own on the #30 Bad Boy Mowers Toyota and lost six laps on pit road, but came home one lap ahead of Sasnett. 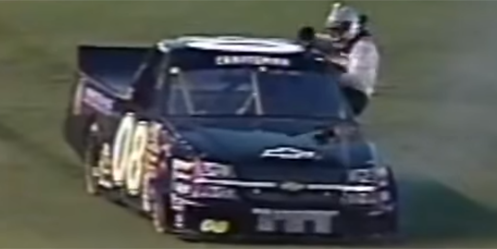 Kvapil clawed his way to 28th despite brake trouble, just four laps back of Boyd, who escaped the Bottom Five into 27th. Kvapil, Poole, Sasnett, and Dean all earned their first Bottom Fives of 2019. Turning heads once again was Ross Chastain, who as of this writing has competed in every Cup, XFINITY, and Truck Series race so far run in 2019. Driving Niece Motorsports’ #45 TruNorth / Paul Jr. Designs Chevrolet, Chastain started 10th and won Stage 2, ending Kyle Busch’s stranglehold on stage victories. While Busch ended up winning the race, Chastain earned an excellent 4th-place finish, leading the second-most laps of the day with 53. Joey Miller's #12 crashes out at Atlanta in 2006. *This marked the first Truck Series last-place finish for the #12 since March 17, 2006, when Joey Miller’s #12 Curb Records Toyota was collected in a three-truck wreck after 58 laps of the John Deere 200 at Atlanta. Coming into Saturday’s race, the number had just three last-place finishes in the series and none at Martinsville. Johnny Chapman's busted oil line leaves him last at Texas in 2005. *Dean is just the second driver to finish last in a Truck Series race due to an oil line. The only other occasion came on June 10, 2005, when Johnny Chapman’s #08 Green Light Racing Chevrolet fell out after 28 laps of the Chex 400k at Texas.